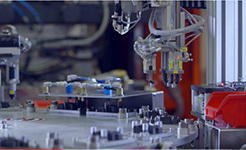 You have not found an adequate solution to your specific needs in our automation product range? Our special purpose machinery construction specialists have many years of experience in the development and manufacture of custom-tailored machines. Let us know your specific tasks, and we will do our best to find the optimum solution.